Established in the year 2000 in Noida (Uttar Pradesh, India), we “P.K. Engineering Works” are engaged in Manufacturing and Supplying an advanced range of packing machines for our clients. Our offered range includes Band Sealer Machine, Stick Packaging Machine, Pouch Packaging Machine, Cup Filler Collar Machine, Auger Filler Collar Machine, etc. These machines are equally used to pack dry and liquid products with complete air tight sealing ability. They are being widely used to pack pan masala, tea powder, coffee powder, detergent powder, namkeen, cakes, books, auto parts, scrubber, cream wafers and many more. Our provided machines are widely known for their diverse qualitative features such as robust design, excellent performance, long working life, low wastage disposal, digital seal timer and less power consumption. In order to assure their reliable performance, the provided machines are rigorously examined against various quality parameters by our quality controllers. 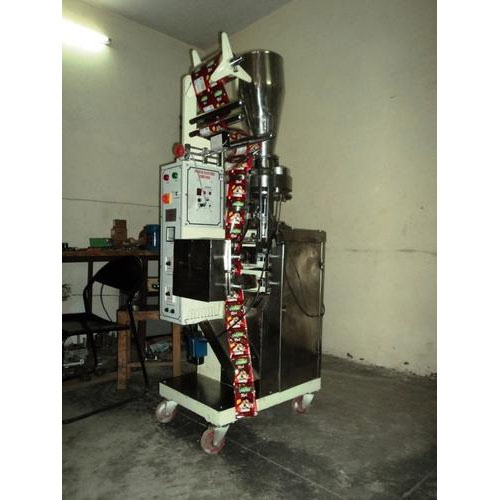 Our esteemed clients can avail these packing machines from us in different technical specifications as per their application requirement and within promised time frame. Apart from this, we are also engaged in offering after sales services of our machines and we are require relevant buyer from Dehli NCR region and with in 250 km region.